In order to receive e-mails, users have mailboxes set up. A mailbox is a private area where all user e-mail messages are stored.The size of the mailbox is limited to 1GB. It is users’ responsibility to keep their mailbox within this limit. There is no guarantee that your email will function properly if you reach this limit. 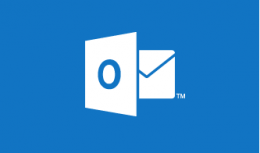 The official mail client at AUBG is Microsoft Outlook. The mail application is installed on all staff's, faculty's and labs computers. Using AUBG Outlook Web Access HOWTO (faculty and administration approach). AUBG provides IMAP over SSL for students. Example settings can be found here . "Outlook Anywhere" enables Microsoft Outlook users to access their Exchange Server accounts over the Internet when they work outside the local AUBG network. AUBG offers web-based access to personal mailboxes for all students, faculty members and administration. This service is provided by the Microsoft Exchange server on which email services in AUBG are based. AUBG offers web-based access to personal mailboxes for all students, faculty members and administration.